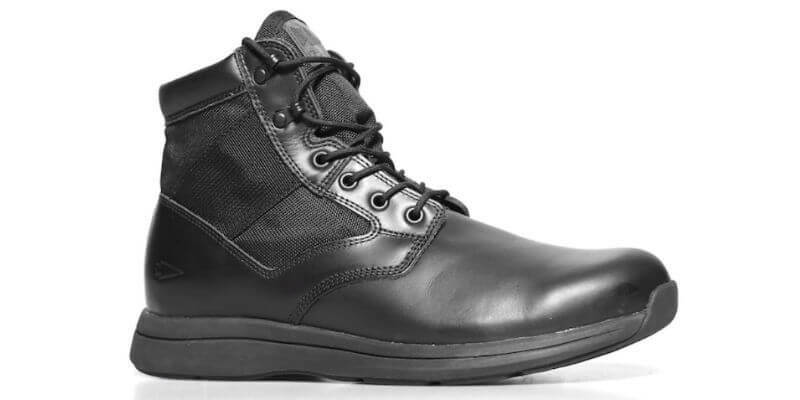 UPDATE: The MACV-1 GORUCK Boots are live for sale here. You can read a ton of articles about them here. 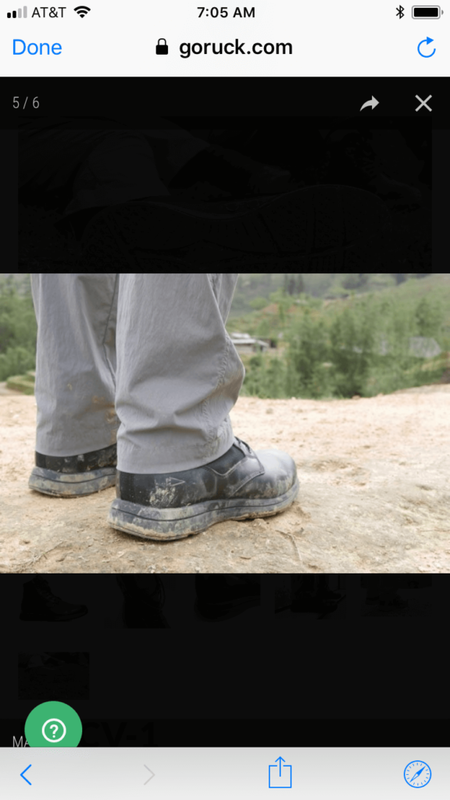 UPDATE 2: We have a pair of MACV-1 Rucking Boots and our ongoing review is here. Note: this post was written the day that we learned about the MACV-1. 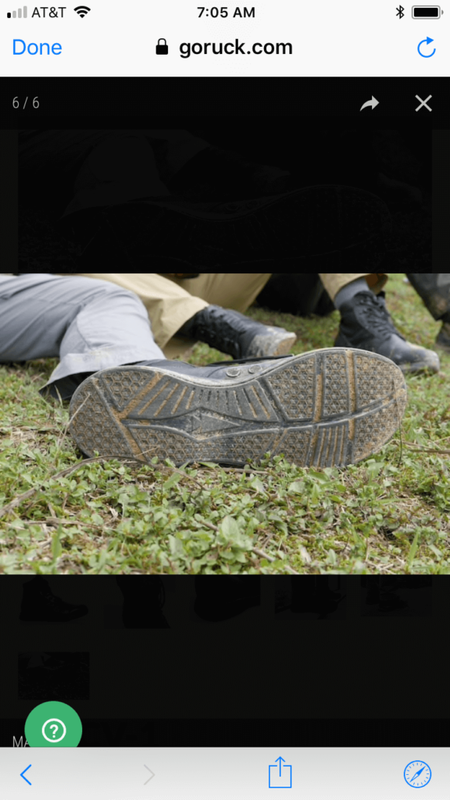 “What is the best type of shoe for rucking?” is a question that rages in the mind of every person when they are introduced to GORUCK. The debate over shoes vs boots has gone on for years. 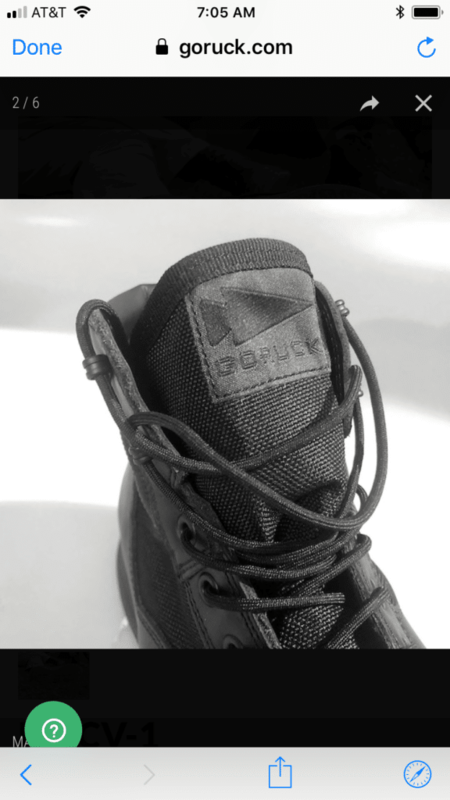 GORUCK is hoping to definitively close the case on the question and debate with their first footwear offering, the GORUCK Rucking Boot MACV-1 (assuming that is its official name). 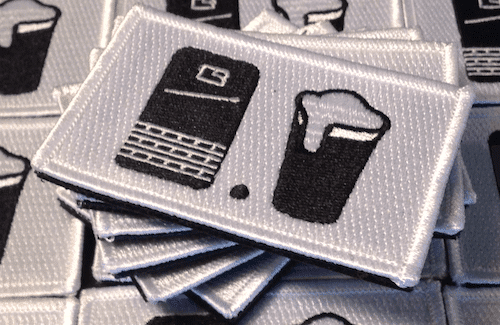 The boot is set to officially launch for pre-order on Monday, June 18, and over the last few weeks GORUCK and GORUCK President, Jason McCarthy, have been dropping a lot of hints and information about the release on Facebook, Twitter, and Reddit. Here is everything we’ve been able to glean about the new boots. First, the price will be $195 when they start pre-orders. There is no indication at this point whether the boots will go up in price after the pre-order window. Who is behind the shoe? This is all GORUCK. Jason says that they tried for several years to “partner” with a footwear brand, but they all sucked. Thankfully there was a GRT that had a little shoe experience. Paul Litchfield was the man who invented the Reebok Pump and has 20 + years of shoe industry know-how. He helped GORUCK spearhead the project and then went with Jason to test the boots rucking through Vietnam. Jason said there is much more to write about this, so I expect we’ll see it when the product launches. 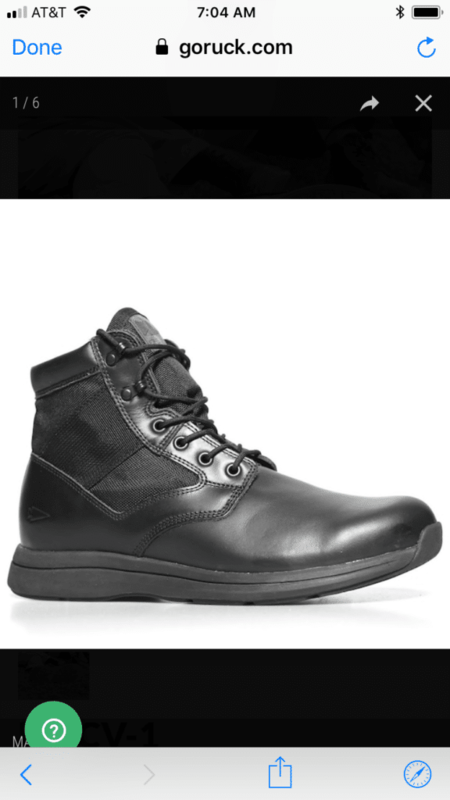 But he essentially says that to make this boot in the US would require GORUCK to built their own factory, buy their own machines, hire their own workers, and charge $500/pair. So, probably not. Preorders are expected to arrive in the August/September timeframe. Wear them in your house. If no wear or tear, you can return them. A few lucky souls have been seen wearing them. Jason and Blayne did the DC (monsoon) Star Course in them (Read Jason’s AAR and see the pics). Jason and a few guys took them through their paces in Vietnam. If you look at Jason’s Grand Canyon Weekend post, you’ll see that the boots were getting used there (you’ll also notice he and Blayne’s feet aren’t shown in a lot of pics). So, it looks like they’ve been but in some good situations to really test them out. 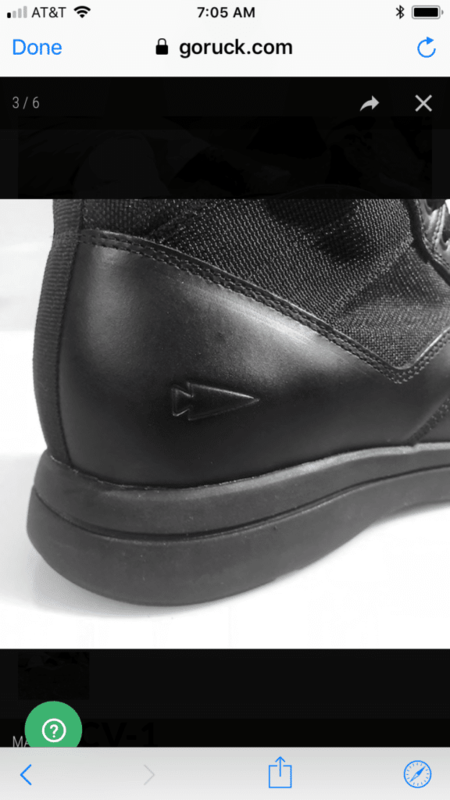 For the above page, we were able to grab some screenshots of what the boots look like. I can not verify if this is the final boot we’ll see on Monday, but it is very likely. Here’s how they look with some mud on them. Nice little spearhead on the heal. Look really close on the left foot instep and you’ll see two drain holes. Spearhead on the sole and another look at the drain holes. That’s all I’ve been able to dig up at this point. So… what say you? Will you preorder? Excited or meh? Sound off in the comments below. They’re a “meh” for me. They look like a flimsy high-top more than a true boot. I’d much rather have a boot that can be resoled easily instead of something that I have to pay $200+ for that’ll likely need to be thrown out. I appreciate what was said about sizing. I have large feet and its terribly difficult to find the right size in the store, let alone online. Some manufacturers fit me with a 12, others a 13 or 14, to say nothing of the half sizes. It’s a good idea and all but I’m out. I feel like we’re about to find out the trip to Vietnam was not just for sightseeing and to “test them out” in the jungle. I’m in the shoe camp, so personally not tempted. Wondered if you were going to give them a try. Look forward to reading the review. GORUCK doesn’t sell their product in stores. Sorry. Most people order 2 pairs and send back the one that doesn’t fit.